Humans need physical touch. Without it, we don’t thrive and can actually die. Hugs and kisses. We lavish them on our pets and each other. Enthusiastic wiggle of a dog’s rump with a muzzle thrust into your hand; incessant rubbing of a cat on your leg; innocent reaching for your hand by a loved one; caress of soft fabric on your neck; hugging meditation, breathing in and out together; a gentle hand on your shoulder; shower spray running down your body; warm phone call from your friend; comments on your A to Z blog. If we pay attention, we find many daily examples of positive touch. Did you get your twelve today? Not yet, but the day is still young. I’ll get and give my quota! You know just the other day i was meeting the boyfriend of a young woman I know and was pleasantly surprised when he hugged me instead of shaking my hand. It felt good. Virtual hugs to you Beth, I have enjoyed meeting you on this A to Z challenge. Had the shower one today so far – and of course some comments on my blog (thanks for yours)! x0x0 to you! Great “X” post and I remember the quote from years ago. I try to give and get as many hugs in a day as I can. I really do think hugging and human contact is food for the soul. Thanks for participating in the A to Z Challenge. I like the opening statement. Imagine what even more can do! Caught the subtle hint about comments on your blog. Ha! Love those XXs & OOs! Oh, I didn’t–and how I miss a tender touch. However, by flourishing without the neccessary touch, I’ve proven you won’t neccessarily die. God I’m strong. 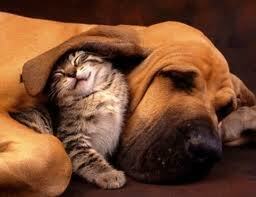 Yet, I’d trade my fortitude for a place under that dog’s ear. Good post. I didn’t know how important touch was. I live far from family, but I have two need-to-be-in-physical-contact-at-all-times animals, so I’m probably covered. Here’s a comment to make you feel good! 🙂 What sweet post!